At a respected public school, the annual sports day is being held and the body of the headmaster's obnoxious nephew is suddenly discovered strangled in a haystack which ends the day in a rather sad tragedy. No pupil or master appeared to have a liking for the dead boy and when the police come to the school and start to interview the masters and pupils they come to the conclusion that Michael Evans, who was having a rather chaste affair with the headmaster's wife, is a major suspect. Fortunately for Evans his friend Nigel Strangeways comes to the school to help the police in their investigation. 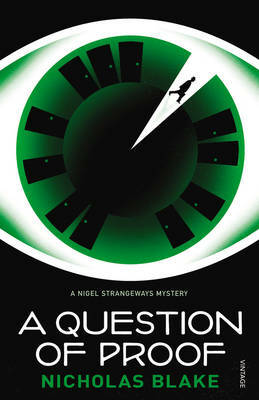 Strangeways is the nephew of the Assistant Commissioner of Scotland Yard and has already earned a reputation for solving previous cases in his role as a private enquiry agent. There are lots of pages of discussion between the various pupils who were contemporaries of the deceased schoolboy about their worries and also between the masters in their common room discussing the case which ratchets up the tension. Because this is a republication of a book originally published in 1935 but set a number of years previously, the language the boys and masters use is very reminiscent of that used in the Bertie Wooster books of P G Wodehouse. Whilst I initially thought it a little irritating, after reading a large number of pages I just got very thoroughly absorbed into the story and ceased to think much about it. The protagonist Nigel Strangeways does not appear until page 102, so by that time I was fully immersed in the layout of the school and most of the cast of characters. Michael Evans and the Detective Armstrong show Nigel all the other facts which he should be acquainted about which, I suppose is a very good literary device to replay the main events in the reader's mind. Another murder of a very important character occurs soon after which brings the story to something of a climax and the demands on Nigel to bring the crimes to an early resolution are very strong. Fortunately he manages to do this and the story ends in a most satisfactory fashion. I enjoyed this story which was written as the first in a series of 15 books which feature Nigel Strangeways by Nicholas Blake which was the pseudonym of the late Cecil Day-Lewis, Poet Laureate and the father of the actor Daniel Day-Lewis.